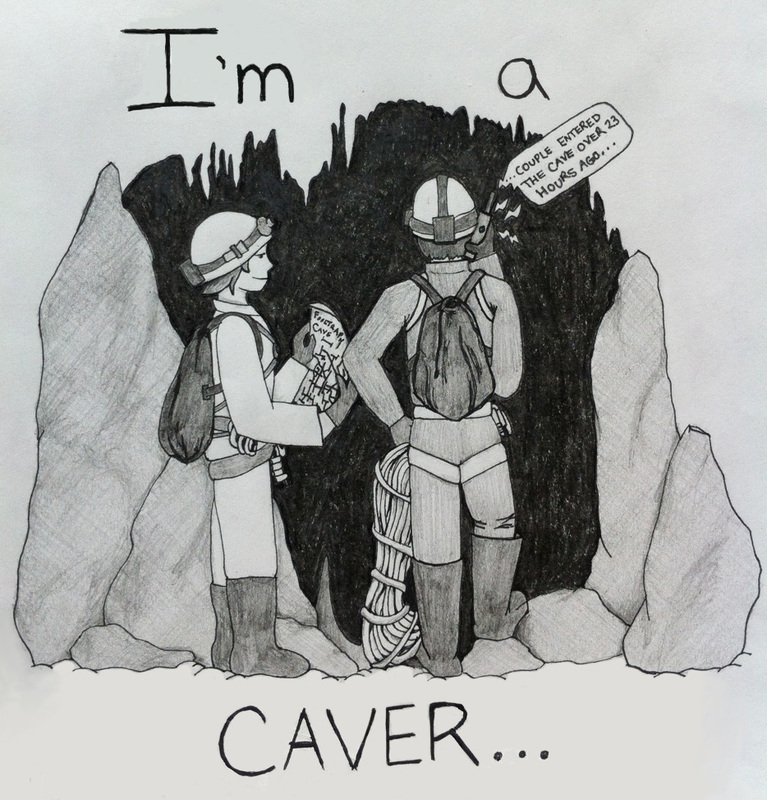 "I'm a CAVER - Not a Spelunker"
Have you ever been at work, sipping your coffee, when someone asks you what you did over the weekend? 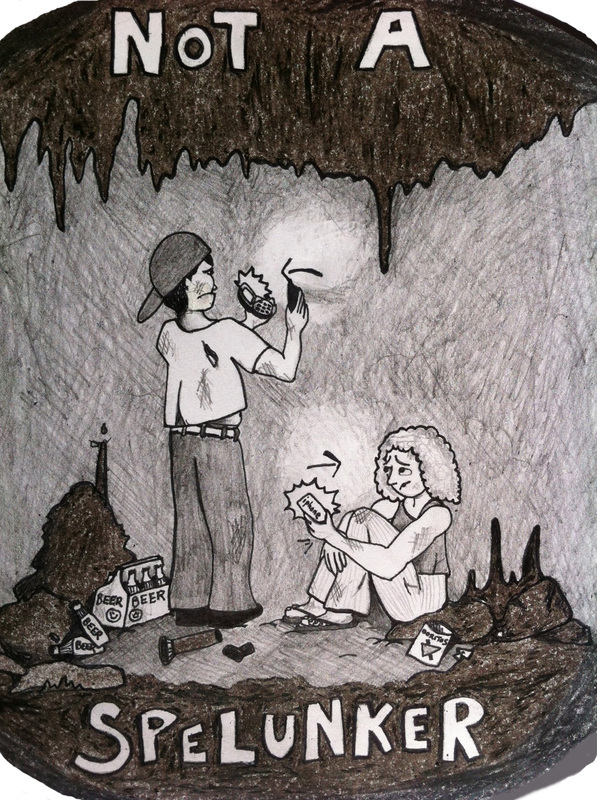 "Oh - you mean spelunking." Then you have to go through the whole explanation. Which you've done so many times that at this point you're tempted to just let it go. What if your coffee mug could field those questions for you?? 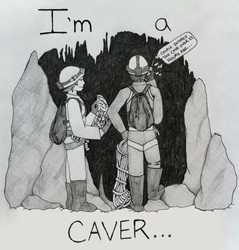 This year, I've designed custom mugs just for cavers. 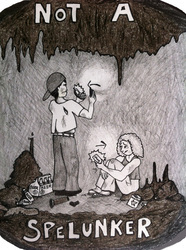 They are sturdy, classic white ceramic mugs with hand-drawn illustrations on either side, designed to highlight the difference between true cavers and lowly spelunkers. :-p They come in two sizes (11oz regular and 15oz grande), and are available for pick-up at several caving events and locations within the Virginia Area Region, or can be shipped to your home for an additional charge. Feel free to contact me to arrange bulk purchases or special shipping circumstances, or with any questions. Regional Locations (Contact me for details): Washington, DC; Maryland: Silver Spring, Bethesda, Columbia, Hyattsville, Baltimore, Gaithersburg, Hagerstown; Virginia: Arlington, Great Falls, Alexandria, Bath County; West Virginia: PSC Fieldstation (Pendleton); WVACS Fieldstation (Greenbrier). Also available for pickup at NSS Convention. NOTE: If you want the mug shipped to you, please select the option below that includes shipping for your size. If you are shipping 3 or more mugs to the same destination, please contact me for a custom shipping quote. In this text field, please provide: 1) Your contact info (email and/or phone - provide your address if I am shipping to you) 2) Your method of payment 3) Any further details about shipping or pick-up 4) Any other comments or questions. I will contact you shortly to confirm your order!